This is a print that I've been wanting to do for quite a while. She was a resident in a neighbor's garden. Image Size 3"x4" Mat Size 8"x10". 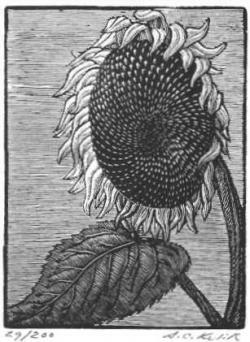 Printed in an edition of 200.